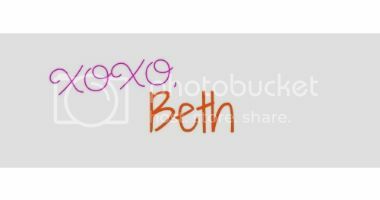 For fun today I'm linking up with one of my favorite bloggers, Shea of Shea Lennon, to share some of our weekly eats. I have talked often on the blog about how Nate is an amazing cook. He pretty much makes all of our meals and he is not afraid to experiment and make recipes his own. Today I thought I'd share two examples. First up we have Bechamel Asparagus Pizza. Nate uses both the pizza dough recipe and bechamel white sauce recipe from the blog Food Wishes for his base. From there though we've kind of made this creation our own. We add some blanched asparagus and some Colby jack cheese. You could stop there, especially for my veggie friends. We often times leave it there in fact. But this week we decided we wanted a little protein so we added some prosciutto as well. The result is a delicious, rich flavored white pizza. I wouldn't go overboard on adding toppings if you were to try this one because it is pretty rich. 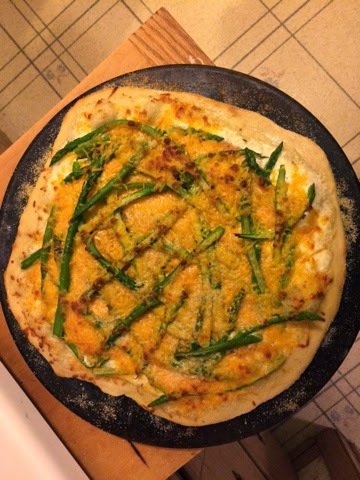 Ollie loved the extra asparagus with a little bit of the sauce mixed in, so you could do it without the pizza crust at all if you wanted! Next up is homemade chicken caesar salad. We used to go the lazy route and do the bag mix of caesar salad whenever we wanted one. Then we started doing a semi homemade version where we got fresh lettuce, but still used store bought dressing and croutons. Then Nate decided, heck, let's just make the whole thing from scratch. So he started making the Original Cesar Cardini salad recipe after he found it over here on Food.com. 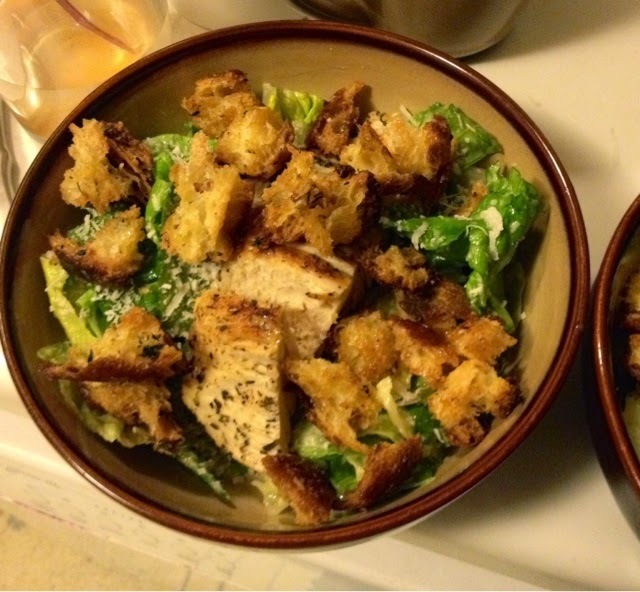 He also makes homemade croutons when he can, we often will make this salad when we have had bread with a wine and cheese night, he'll use the leftover baguette bread and turn it into croutons with a little garlic, Parmesan cheese and olive oil. He also seasons the chicken breast and fries it up in a cast iron skillet in winter or grills it in the summer and then we add that to the salad as well! It is so delicious, it has pretty much ruined me for making caesar salad any other way. We tend to eat this more in the summer because it's a nice light meal for a hot day, but we had it this week because we had the bread to make croutons and it just sounded good! So there you go, two unique things that Nate likes to make for us on occasion. I am so spoiled by a man who loves to cook, I never take that for granted! I am a good wife who takes on the fun things like clean up then, aren't I sweet? Figure if he feeds me the least I can do is take care of the mess!